Addendum 2 County's 2017 Road and Bridge Supplemental Paving Project Lucy 10/19/2017 at 2:00 p.m. 17-046 Bid was awarded by Commissioners Court on Monday, October 30, 2017 to Allied Paving Company. 17-045 Purchase of One (1) 2017/2018 Truck Mounted Asphalt Distributor for Public Works/Road & Bridge Blanca 10/05/2017 at 2:00 p.m. 17-045 Bid was awarded by Commissioners Court on Monday, December 04, 2017 to RJ Border International LP. Replace the Existing Roofing System of the El Paso County Fabens Warehouse Blanca 10/05/2017 at 2:00 p.m. 17-044 Under department review. Addendum 1 Paving Emulsion Materials on an As-Needed Basis for the County of El Paso Lucy 09/28/2017 at 2:00 p.m. 17-043 Bid was awarded by Commissioners Court on Monday, October 30, 2017 to Holly Frontier Refining & Marketing, LLC. Addendum 1 Paving Rock Materials on an As-Needed Basis for the County of El Paso Lucy 09/28/2017 at 2:00 p.m. 17-042 Bid was awarded by Commissioners Court on Monday, October 30, 2017 to Jobe Materials, L.P.
Email Security and Encryption for the County of El Paso Blanca 09/21/2017 at 2:00 p.m. 17-041 RPF was awarded by Commissioners Court on Monday, February 26, 2018 to SHI Government Solutions. Addendum 1 Supplies for 100,000 tons of Commercial Base Course Materials for the County of El Paso Lucy 9/7/2017 at 2:00 p.m. 17-040 Bid was awarded by Commissioners Court on Monday, November 6, 2017 to Hueco Quarry Inc.
Consultation Services for Health and Dental Benefits Blanca 9/07/2017 at 2:00 p.m. 17-039 RFP was awarded by Commissioners Court on Monday, November 13, 2017 to HUB International Insurance Services. Addendum 3 Internal Revenue Service Section 457 Deferred Compensation Plan for County Employee Lucy 9/14/2017 at 2:00 p.m. 17-038 RFP was awarded by Commissioners Court on Monday, June 25, 2018 to Nationwide. 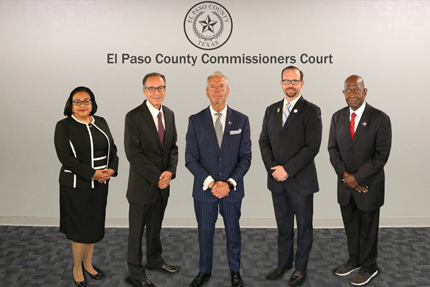 Newspaper Advertising Legal Ads for the County of El Paso Blanca 08/17/2017 at 2:00 p.m. 17-037 Bid was awarded to by Commissioners Court on Monday, October 16, 2017 to El Paso Inc.
Forensic Toxicology Services for the County of El Paso Medical Examiner's Office Blanca 08/31/2017 at 2:00 p.m.. Bid was awarded by Commissioners Court on Monday, November 6, 2017 to NMS Labs. Bid was awarded by Commissioners Court on Monday, March 12, 2018 to Cornerstone Detention Products, Inc.
Long Term Disability/Short-Term Disability/Benefits On-Line Enrollment/ Pre-Paid Legal Services for the County of El Paso Lucy 07/13/2017 at 2:00 p.m. 17-033 Bid was awarded by Commissioners Court on Monday, September 18, 2017 to Standard Insurance Company for Short and Long Term Voluntary Disability, Benefit Focus for Online Enrollment, and U.S. Legal Services for Prepaid Legal Services. Bid was awarded by Commissioners Court on Monday, September 18, 2017 to Goytia Enterprises Company. 17-031 Pest Control Services at Multiple County Locations Lucy 6/15/2017 at 2:00 p.m. 17-031 Bid was awarded by Commissioners Court on Monday, October 16, 2017 to Eagle Pest Control and Continental Termite & Pest Control. Electronic Poll Book for the County of El Paso Elections Department Blanca 07/06/2017 at 2:00 p.m. 17-029 RFP was awarded by Commissioners Court on Monday, October 16, 2017 to Hart InterCivic. Tires for the County of El Paso (re-bid) Blanca 06/01/2017 at 2:00 p.m. 17-028 Bid was awarded by Commissioners Court on Monday, October 16, 2017 to American Tire Distributors, GCR Tires & Service, Martin Tire Company, Redburn Tire Company, Southern Tire Mart, Tire Centers, LLC and The Goodyear Tire and Rubber Company. 17-027 Batteries for the County of El Paso (re-bid) Lucy 06/1/2017 at 2:00 p.m. 17-027 Bid was awarded by Commissioners Court on Monday, October 16, 2017 to Advance Stores Company, DBA Carquest Auto Parts, Continental Battery Co., and O'Reilly Auto Enterprise, LLC., DBA O'Reilly Auto Parts. Addendum 1 Repairing Pavement Sections throughout Ascencion Road Blanca 06/01/2017 at 2:00 p.m. 17-026 Bid was awarded by Commissioners Court on Monday, June 26, 2017 to Allied Paving Company. 17-025 Cost Allocation Plan Services for the County of El Paso Lucy 6/15/2017 at 2:00 p.m. 17-025 RFP was awarded by Commissioners Court on Monday, August 14, 2017 to MGT of America Consulting, LLC. Addendum 1 Black & White Laser Printers for the County of El Paso 2017 IT Equipment Program Lucy 5/25/2017 at 2:00 17-024 Bid was closed by Commissioners Court on Monday, October 2, 2017. "Scanners" for the County of El Paso 2017 Equipment Program Lucy 6/01/2017 at 2:00 17-023 Bid was closed by Commissioners Court on Monday, October 2, 2017. 2017 Paving Program for the County of El Paso Blanca 06/08/2017 at 2:00 17-022 Bid was awarded by Commissioners Court on Monday, August 07, 2017 to Del Mar Contracting, Inc.
Desert Acceptance (Square Dance) Wastewater Collection System Lucy 06/08/2017 at 2:00 p.m. 17-021 Postponed by Commissioners Court on Monday, July 24, 2017. 17-020 Dell or HP PC Desktops for the County of El Paso 2017 Equipment Program Blanca 05/11/2017 at 2:00 p.m. 17-020 Bid was awarded by Commissioners Court on Monday, August 14, 2017 to SHI Government Solutions. Lubricants and Oils for the County of El Paso Blanca 04/27/2017 at 2:00 p.m. 17-018 Bid was awarded by Commissioners Court on Monday, July 31, 2017 to M.J. Mader Enterprise Inc..
Five (5) Year Strategic Information Technology (IT) Master Plan for the County of El Paso Lucy 05/18/2017 17-016 RFP was awarded by Commissioners Court on Monday, August 28, 2017 to NexLevel Information Technology Inc.
Construction of New Metal Building at Ascarate Park for Public Works Department Blanca 04/10/2017 at 2:00 p.m. 17-014 Bid was awarded by Public Works Department on Thursday, May 25, 2017, to Armor Construction Co. Inc.
Pre-bid sign in Replace Water Heater and Two (2) Hot Water Storage Tanks at the El Paso County Jail Annex Lucy 04/19/2017 at 2:00 p.m. 17-013 Bid was awarded by Commissioners Court on Monday, May 22, 2017 to T-Dyne Contractors, LLC. Pictures Replacement of Storm Drain Pipes for the El Paso County Detention Facility Lucy 04/18/2017 at 2:00 p.m. 16-012 Bid was awarded by Commissioners Court on Monday, May 8, 2017 to T-Dyne Contractors, LLC. Application for Depository Bank and Safekeeping Services for Funds of El Paso County Lucy 04/10/2017 at 2:00 p.m. 16-011 RFP was awarded by Commissioners Court on Thursday, May 18, 2017 to Inter National Bank. 17-010 Bid was awarded by Commissioners Court on Monday, May 22, 2017 to Acosta Drilling, Inc.
Addendum 1 Purchase of Three (3) Elevating Autopsy Tables and Three (3) Dissecting Carts for the Medical Examiner's Office Blanca 03/23/2017 at 2:00 p.m. 17-008 Bid was awarded by Medical Examiner's Office on Thursday, April 6, 2017 to Mopec. Catering and Concession Services for the County Sportspark, County Pools and Ascarate Golf Course Blanca 03/28/2017 at 2:00 p.m. Bid was closed by Commissioners Court On Monday, July 10, 2017. 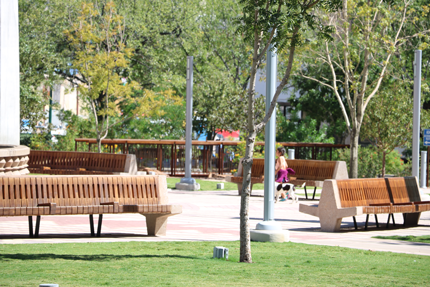 Enterprise Case Management Software for the County of El Paso Blanca Friday, 03/24/2017 at 2:00 p.m. 17-006 RFP was awarded by Commissioners Court on Monday, August 14, 2017 to CaseWorthy, Inc.
Addendum 1 Purchase of One (1) Street Box Sweeper, One (1) Pick-Up Truck 2 Ton Full Size, Super Cab, 4x4 wTruck Mounted Work Platform (Cherry Picker/Bucket Truck) Two (2) Utility Tractors, One (1) Fairway Mower and One (1) Collar Mower for the County of El Paso Blanca 02/22/2017 at 2:00 p.m. 17-005 Bid was awarded by Commissioners Court on Monday, April 10, 2017 to Southwest Truck Sales, Simpson Norton Corporation, Deere & Company and Tennant Sales and Service Company. Addednum 1 Purchase of Five (5) Midsize Sedans, One (1) Full Size 4X2, 1/2 ton Pick-Up Truck Crew Cab (4 Full Door) Long Bed for the County of El Paso Lucy 02/21/2017 at 2:00 p.m. 17-004-tab Bid was awarded by Commissioners Court on Monday, March 20, 2017 to Casa Ford Inc.
17-003 Purchase of Twelve (12) Police Interceptor Utility (SUV) AWD Patrol Vehicles (5 Sheriffs; 7 Constables) for the El Paso County of El Paso Lucy 02/21/2017 at 2:00 p.m. 17-003- tab Bid was awarded by Commissioners Court on Monday, March 20, 2017 to Casa Ford Inc.
Addendum 1 Replacement of X-Ray Equipment (Medical) for the Downtown Detention Facility Lucy Closed Bid was approved by Commissioners Court to close out and re-bid on Monday, July 10, 2017. Infrastructure Enhanced System and Forest Migration for the County of El Paso Blanca 3/30/2017 at 2:00 p.m. On Monday, May 8, 2017 Commissioners Court authorized the Purchasing Agent to reject all responses received.